Spring, Tex. – Sage Golf Group Worldwide recently appointed Chris Freeman as the new General Manager at Raveneaux Country Club. For more than 30 years, Raveneaux Country Club has meant a level of luxury and is regarded as one of the premier private country clubs in Texas. In addition to world-class golf, the club is known for its family-oriented atmosphere, which offers many recreational and social amenities. Raveneaux has grown to become the natural retreat for members and guests looking for an escape from the rigors of the world. Designed by Robert Von Hagge in 1979, the Old Course at Raveneaux has proven to be a challenge for all players. Within the 60,000 square foot clubhouse that sits among natural woodlands, Raveneaux offers a variety of venues for dining and entertaining. Members have multiple dining options including formal dining, mixed grill, locker room grills and exceptional banquet facilities. The club also offers full-service golf and tennis shops, 12 lighted outdoor tennis courts and a junior Olympic-sized swimming pool. In late 2009, the Club completed a $2 million renovation project on the clubhouse interior that has been well received by the membership. Raveneaux Country Club’s owners, JP Partners, hired Sage Golf Group Worldwide for the club’s management in June of this year. Hiring Freeman is a critical move in the evolution of Raveneaux. Freeman comes from the Country Club of Lansing in Lansing, Mich., where he served the past eight years as the club’s chief operating officer/general manager. Prior to his current role at the Country Club of Lansing, Chris served in the Head Golf Professional role at the club for 12 years. During that time, Chris was recognized in the Michigan Section as a private club Merchandiser of the Year winner and was also a former Western Michigan PGA Champion. The Country Club of Lansing was founded in 1908 and is considered to be one of Michigan’s premier private clubs. 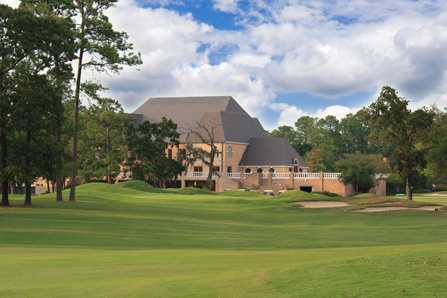 The club is known for immaculate golf course conditions, great service and superior cuisine. 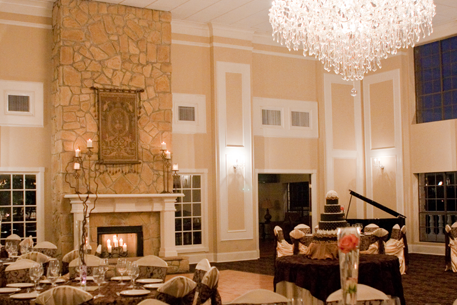 The Country Club of Lansing has 600 members and an in-season staff of 120. Freeman is a graduate of the University of Florida and has been in the club industry for 30 years. He is an active member of both the Club Manager’s Association of America and the PGA of America. At the Country Club of Lansing, Freeman successfully managed a $2 million dollar a year food and beverage operation. Based in Ponte Vedra Beach, Florida, Sage Golf Group Worldwide was formed by a group of the golf industry’s leading operators who, for 25 years, were responsible for developing, operating and building the brand of the PGA TOUR’s Tournament Players Club Network. Sage Golf Group is led by president/CEO Pete Davison.